You know this thing about Vampirina Games? Try our Vampirina Games right now, because otherwise you will miss out on a truly great opportunity to have fun, which is an opportunity you always get on our website, with whatever categories we create! 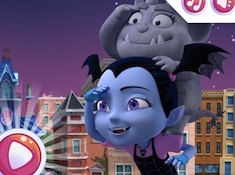 Now, you get to have fun with a funny vampire girl, only by playing Vampirina Games, and only on www.cute-games.com! Good luck to you! In Vampirina Games you can find 16 games that we've published for these kids and childrens that are interested to play Vampirina Games, this game gategory have been created on 26.09.2016. These games with Vampirina Games have been voted 1 times and the avarage of vote is 5.00 stars. We advice you to play the last flash game from Vampirina Games, Vampirina Bejeweled that have been published on 24.09.2018 18:09. Vampirina Bejeweled its a part of Vampirina Games category and until now its played 21983 times. Try it now on Cute-Games.com! Vampirina Jelly Match its a part of Vampirina Games category and until now its played 2274 times. Try it now on Cute-Games.com! Vampirina Jewel Match its a part of Vampirina Games category and until now its played 1302 times. Try it now on Cute-Games.com! If your like the Vampirina Jewel Match game you can write a comment in the game page. Recommend this game to your friends if you like it! Vampirina Casual vs Nerdy its a part of Vampirina Games category and until now its played 1383 times. Try it now on Cute-Games.com! If your like the Vampirina Casual vs Nerdy game you can write a comment in the game page. Recommend this game to your friends if you like it! Vampirina Candy Shooter its a part of Vampirina Games category and until now its played 1379 times. Try it now on Cute-Games.com! If your like the Vampirina Candy Shooter game you can write a comment in the game page. Recommend this game to your friends if you like it! 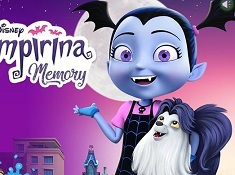 Vampirina Memory its a part of Vampirina Games category and until now its played 1353 times. Try it now on Cute-Games.com! Vampirina Math Quiz its a part of Vampirina Games category and until now its played 1117 times. Try it now on Cute-Games.com! If your like the Vampirina Math Quiz game you can write a comment in the game page. Recommend this game to your friends if you like it! Vampirina Monster Match its a part of Vampirina Games category and until now its played 6407 times. Try it now on Cute-Games.com! If your like the Vampirina Monster Match game you can write a comment in the game page. Recommend this game to your friends if you like it! Vampirina Memory Mania its a part of Vampirina Games category and until now its played 1056 times. Try it now on Cute-Games.com! Vampirina Coloring Book its a part of Vampirina Games category and until now its played 1553 times. Try it now on Cute-Games.com! 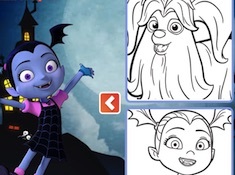 If your like the Vampirina Coloring Book game you can write a comment in the game page. Recommend this game to your friends if you like it! Vampirina Jumping its a part of Vampirina Games category and until now its played 1779 times. Try it now on Cute-Games.com! 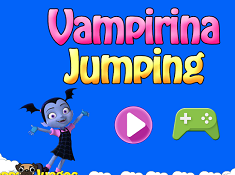 If your like the Vampirina Jumping game you can write a comment in the game page. Recommend this game to your friends if you like it! 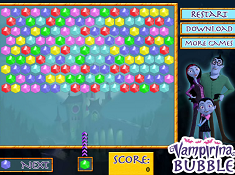 Vampirina Bubble its a part of Vampirina Games category and until now its played 949 times. Try it now on Cute-Games.com! If your like the Vampirina Bubble game you can write a comment in the game page. Recommend this game to your friends if you like it! 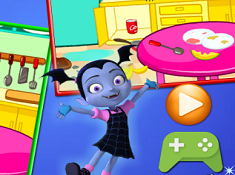 Vampirina Clean its a part of Vampirina Games category and until now its played 1619 times. Try it now on Cute-Games.com! If your like the Vampirina Clean game you can write a comment in the game page. Recommend this game to your friends if you like it! 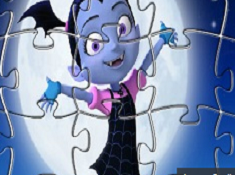 Vampirina Jigsaw Puzzle its a part of Vampirina Games category and until now its played 3192 times. Try it now on Cute-Games.com! 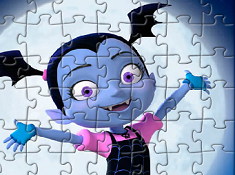 If your like the Vampirina Jigsaw Puzzle game you can write a comment in the game page. Recommend this game to your friends if you like it! Vampirina Jigsaw its a part of Vampirina Games category and until now its played 3326 times. Try it now on Cute-Games.com! If your like the Vampirina Jigsaw game you can write a comment in the game page. Recommend this game to your friends if you like it! Find More About Vampirina Games! 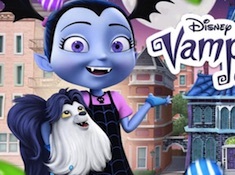 In 2017, on Disney Junior, audiences all over the world are going to meet Vampirina, the newest character from the show with the same title which is then going to start airing, which we are sure that in no time is going to become one of the most popular shows airing on this channel! 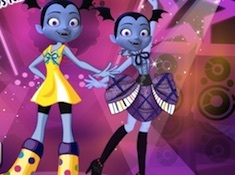 Shows that are airing on Disney Junior are usually enjoyed by a great number of children, which is why we knew that a Vampirina Games category had to be created, since there are going to be countless children searching for these games, and becuase we have already prepared some games for the category, even though there are still months until the show premieres. We have even created some original Vampirina Games for you, so there you have it, one more very good reason to check out the category right away! Now, since the show has only been anounced, and so far there is only one promotional picture out, there is not too much information that we could provide you with, but nonetheless, we are going to give it our best, in order to give you a glimpse into this new world, and convince you that it is worth it to play Vampirina Games on our website! Well, what you have to know first of all is that Vampirina is going to be an animated show based on the series of children’s books called Vampirina Ballerina, so if you will search the internet for Vampirina Ballerina Games, then you will definitely also manage to end up on our website. Now, let’s also see what the main story of the show is going to be about, shall we? We think that it will help you very much if you know it, so we invite you to keep reading this description and find out! 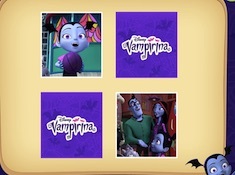 Now, Vampirina is a girl who is also a vampire at the same time, and in the show, she and her family of vampires moves from their homeland of Transylvania, to Pennsylvania. Even though the two sound very much alike, at least name-wise, they are far from being the same. Why is that? Well, Vampirina is going to have to get used to a new kind of school, new classmates, making new friends, staying out of the sun, getting familiar with the food of this new country, and try to integrate into this new society. 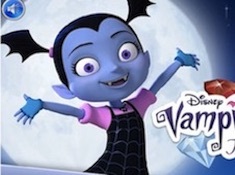 Adding the fact that she is a vampire might make it seem more troublesome than usual, Vampirina still tries her best, and from her misadventures which you can watch on screen, you are able to learn all sorts of interesting things, so we hope that there will be as many of you as possible watching the show. If that happens, that will mean that many of you are going to also play Vampirina Games on our website, which is something that we recommend to everyone, as we already managed to gather up some great games for it, even though there is still a long time before the show starts airing. When we say this, we are talking about the game called Vampirina Bejeweled, which is the first one we invite you to check out, because it is a game that we have made ourselves, and we know that it is the game of this category that you can have the most fun with. Then, you can also play a very fun and easy to solve jigsaw puzzle game, which we also recommend. Still, we are only in the beginning, which means that once the show is getting closer to it’s release date, and even more so after it’s premiere, the number of Vampirina Games that you will be able to play on our website is going to get bigger day by day, and we are sure that in not time whatsoever, the Vampirina Games category is going to definitely going to become a fan-favourite! Don’t belive us? Well, just watch! This category is only one of the countless Disney Junior Games category that we currently offer you all on our website, so after you are done with all the games on this page, we invite you to sink your teeth into all the other great categories that we have shared with you on our website, as we are certain that you will find something to your liking, and you will have a great time playing those games! Now, one more time, we urge you to start playing Vampirina Games on our website right now, and hope that you will have a truly great time on our website, which is our aim with each and every one of our categories. We wish you good luck at all the games you are about to play, and hope that you enjoy them all!